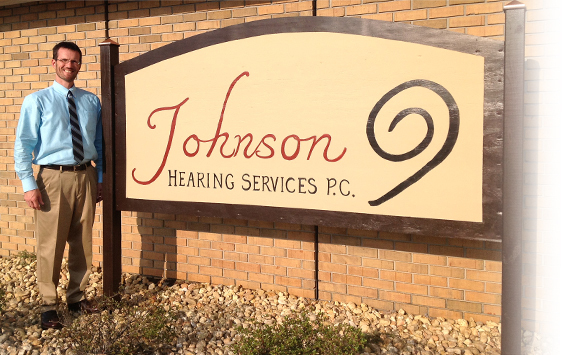 At Johnson Hearing Services, we treat you like the individual you are. 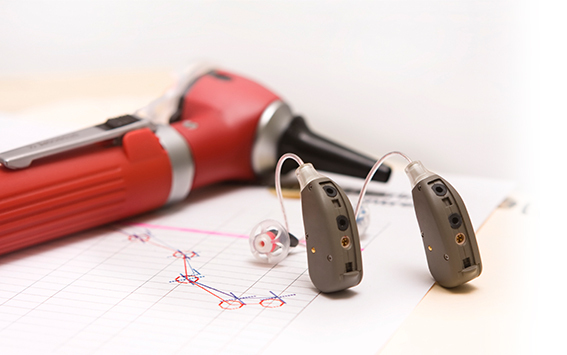 Everyone’s hearing loss is unique, and when it comes to hearing aids, each fitting is personal and special. In-the-ear and behind-the-ear designs are available and recommended according to each person’s needs. 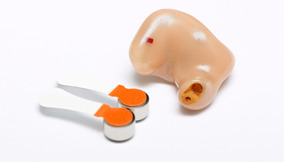 Hearing aid systems are made to meet the specific needs of each patient. Otoacoustic emissions (OAEs) are tiny sounds recorded in the ear canal from the cochlea. The tiny nerve cells in the cochlea (hair cells) react in certain ways to the presence of sounds. If the hair cells are healthy, they will emit a tiny response that can be measured with special equipment. These responses are OAEs. The test is conducted by inserting a soft tip into the patient’s ear. The test will produce clicking or buzzing sounds, which stimulate certain hair cells in the cochlea. If the hair cells are healthy, they will send back a sound (similar to an echo). There are two types of OAEs: transient and distortion-product. Transient-evoked OAEs (TEOAEs) are elicited using a click sound. Distortion-product OAEs (DPOAEs) are elicited using two tones that are just a bit different in terms of pitch. TEOAEs do not give frequency-specific response, meaning that you cannot tell how the hair cells are working at individual frequencies. DPAOEs, on the other hand, do provide some frequency-specific information about the hair cells, although they are not as sensitive to very minimal damage of the hair cells as are TEOAEs. 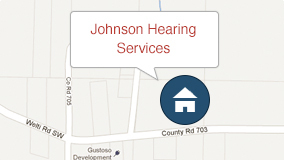 It is important to know that OAEs do not test hearing level, nor do they provide a degree of hearing loss. OAEs do not take the place of pure-tone hearing testing, but are a cross-check to make sure the audiogram makes sense and to assess overall cochlear function. 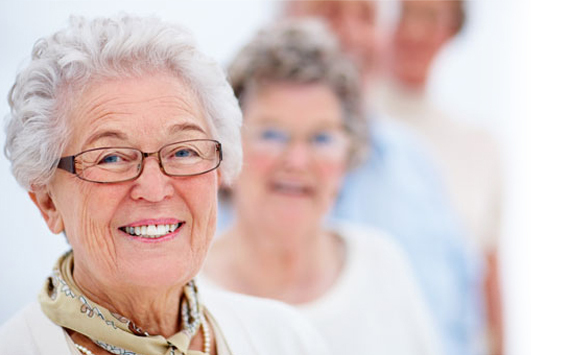 Both OAE measures are a valuable part of a routine hearing test. OAEs can show underlying damage to the organ of hearing before you might notice it. This is especially true in cases of noise-induced hearing loss. The hair cells are worked so hard over and over in noisy environments that they eventually become broken and damaged. This damage can be seen on an OAE test before you will see it during a regular pure-tone hearing test. This kind of warning can help a hearing professional give you a hearing loss conservation plan, including recommendations and precautions to preserve your hearing. OAEs are also a useful test in young children or adults with disabilities who cannot do a behavioral test. Before current research was published and the automated ABR was available, OAEs were largely used as the newborn hearing screening of choice. They can be performed while the baby is awake or asleep, as long as the baby is still and not making a lot of noise. OAEs are not sensitive to other kinds of problems in the auditory pathway, so ABR is the recommended first-step in newborn hearing screening. 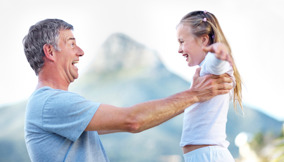 When children are older and a hearing test can be done more easily, OAEs can be helpful in filling in the gaps, making sure the hearing test is reliable, making sure a child is not over-exaggerating a hearing problem, and as a general cross-check to behavioral pure-tone thresholds for children and adults. It is quick and painless and can be done to get ear-specific information.